How to Own a Stillman? Do You Own a Stillman? There should be explanation about how to own a Stillman if someone interested in buying one. "From the Summer of ’50, Luminous Drawings"
Copyright © 2002-2008 The Stillman-Lack Foundation. 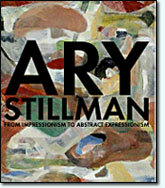 All text and images on this site may not be published, broadcast, or distributed in any form without the prior written permission of The Stillman-Lack Foundation.